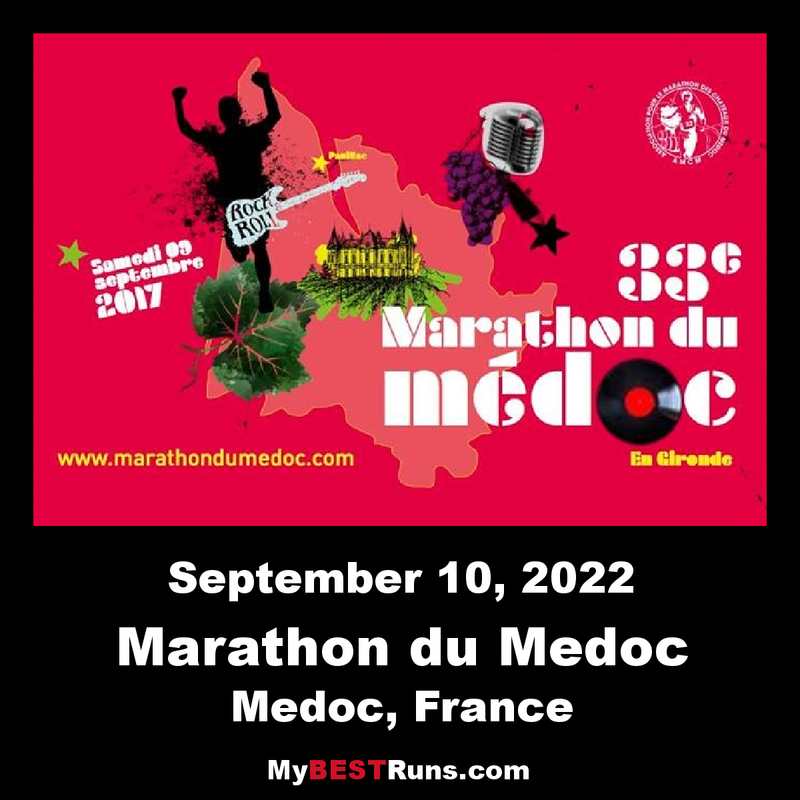 The Marathon du Médoc is a French marathon race, created in 1985, held every year in September through the vineyards of the Médoc in the Gironde. It is considered "the longest Marathon in the world". 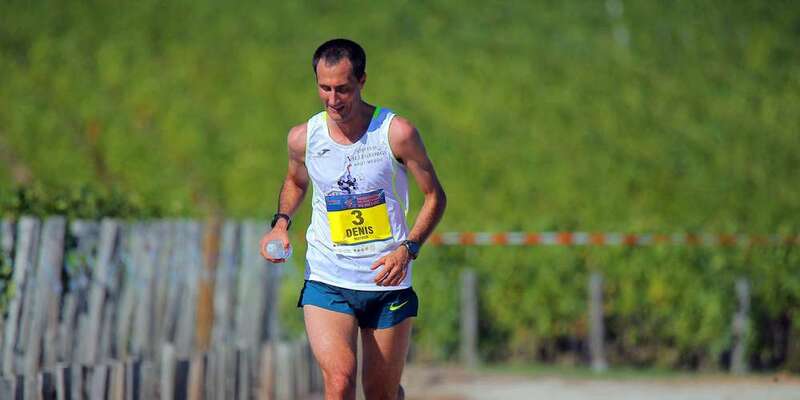 The Marathon du Médoc attracts more than 3,300 foreigners, representing more than 50 nations, as well as many spectators. The marathon is organised by a volunteer association, with 2,800 volunteers. A similar event is the Marathon des premières côtes de Blaye. 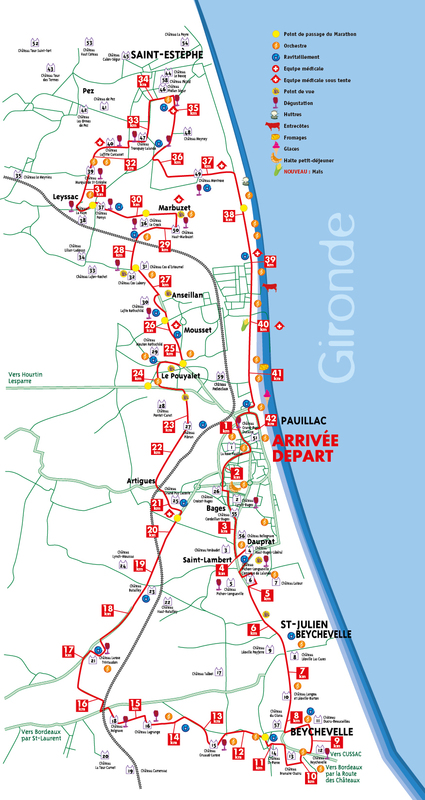 The circuit crosses the vineyards and chateaux of Pauillac, Saint-Julien, Saint-Estèphe, Médoc and Haut-Médoc, beginning and ending in Pauillac. The marathon, known internationally, is famous for its festive atmosphere. 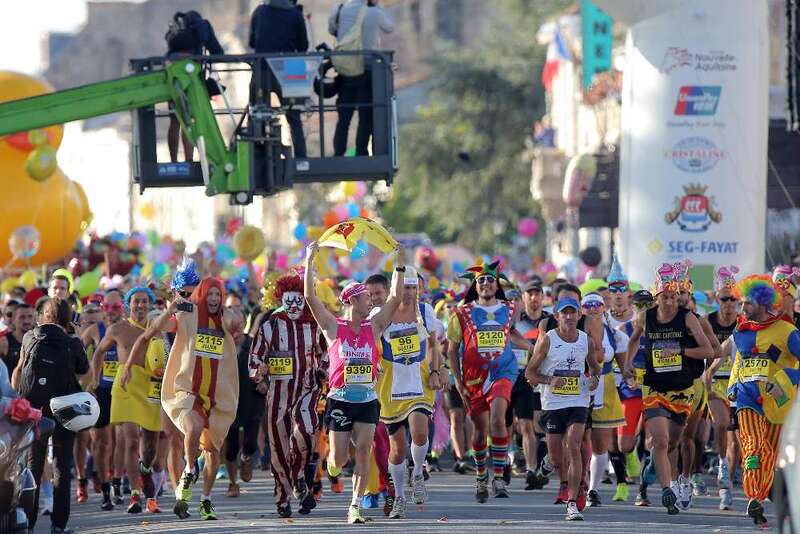 90% of marathon runners run in costume. The marathon is called "the longest in the world" because the race is interspersed with several activities: musical breaks with 23 orchestras scattered around the course, wine tasting, oysters tasting at the 38th kilometer, and steak at the 39th kilometer.